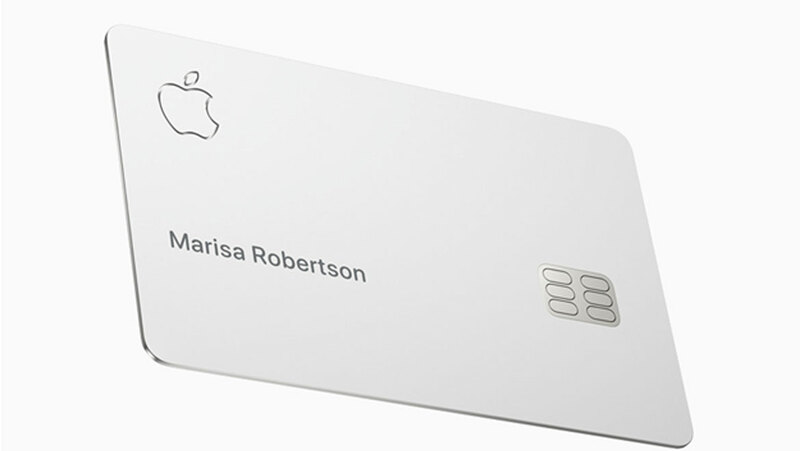 Apple's first credit card will debut this summer, in partnership with MasterCard (MA) and Goldman Sachs (GS). "Apple Card" was a part of a series of announcements made by the company on Monday (25 Mar 2019), while they were introducing several fee-based services to hedge against declining iPhone sales. Apple Card, which is both a digital card in the Wallet app and a physical MasterCard, is meant to be easier to use and understand, compared to conventional credit cards, according to Apple. In addition, the card boasts some intriguing benefits, such as no unnecessary fees and a daily rewards program. Credit Karma reported that the average annual percentage rate (APR) for all credit cards from banks in 2017 was 12.54 percent. At the end of 2018, this number was just above 16 percent. These averages are based on Federal Reserve data. The latest Fed average for all credit card plans throughout 2018 was 14.22 percent, just about two points higher than Apple's lowest rate. As a user of this credit card, to see how much you have been spending, there will be no need to log in to a separate website or app. Your totals are laid out in the Wallet app, weekly or monthly. 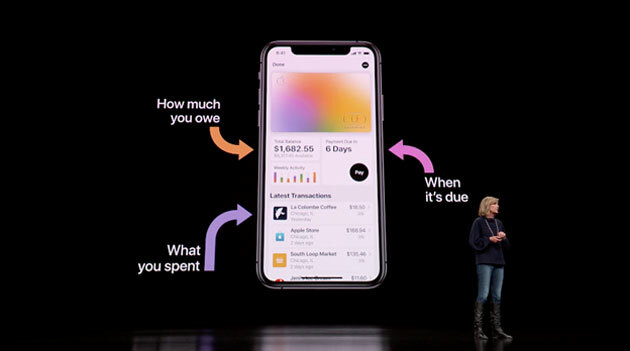 However, it's not just the adding up of numbers that are interesting - Apple Card also spots trends in spending patterns, so users can make better choices and decisions based on this. Apple Card will use the Maps feature to pinpoint where a particular item was bought (read: there are no mysterious merchant codes!) Just the store name, along with its location on a map, will be used to identify spending curves and rectify it if needed. Basically, at a glance, users can see where they are spending. Apple Card gives you daily cash on every purchase made, and also, there are no limits on the amount you can receive from this. The money goes straight to your Apple Cash card in the Wallet app, so you can spend it with a tap - on anything you want! One of the best ways to save on interest is to pay the balance in full, monthly. Although, this may not be possible every time. So, here's Apple Card to the rescue! Choose any amount you wish to pay, and Apple Card estimates the interest cost for you. This way you and other users can make informed decisions. Apple Card also offers smart payment suggestions that encourage users to pay a little more than they normally would in order to pay off the balance faster. Payment Schedules Based on Common Sense! Now, with Apple Card, payment due dates are on the last day of every month, which is fairly easier to remember. However, it can be customized to weekly or biweekly, according to payment schedules of each individual. The company also sends reminders that the due date is approaching. Paying more helps to save on interest, right? But in the fine print, Apple says they expect the interest rates of the credit card to range from 13.24 percent to 24.24 percent. Other credit cards have fees. But with Apple Card, there's no cash advance fees, no international fees, no over‑the‑limit or returned‑payment fees, and importantly, no hidden fees. If you miss a payment, Apple doesn’t charge a penalty fee, either. This only means that your balance won’t catch you by surprise, every time! The goal of this new credit card is to provide interest rates that are among the lowest in the industry. With this card, every time you buy something, you get an instant notification. This way you will be the first to know if something doesn’t seem right, and also be notified of any unusual activity. On security, Apple does offer benefits, though the underlying technology isn't new. The company already relies on two-factor authentication for Apple Pay, which allows users to put other credit cards in their digital wallet. So, individuals can log in from their own devices and okay a purchase with face ID or a fingerprint. Apple also says that the card offers more privacy than others, because, one, the company is not tracking the transactions, and two, Goldman Sachs has agreed not to sell or share user data for marketing or ads. All in all, Apple Card's success would be a positive development for a company that's struggling with sales of its flagship device, the iPhone.